Ricardo Lorenz’s compositions have received praise for their fiery orchestrations, harmonic sophistication, and rhythmic vitality. 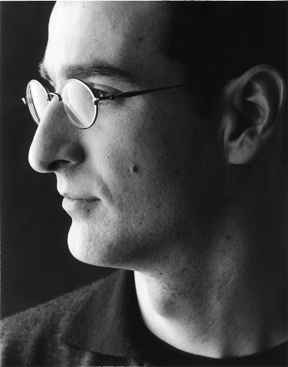 These impressions have accompanied performances of his works at prestigious international festivals such as Carnegie Hall’s Sonidos de las Américas, Ravinia Festival, Santa Fe Chamber Music Festival, France’s Berlioz Festival, Spain’s Festival Internacional de Música Contemporanea de Alicante, the Festival Cervantino in Mexico, and Turkey’s Uluslararasi Summer Festival among others. Lorenz’s orchestral compositions have been performed by the Chicago Symphony Orchestra, American Composers Orchestra, New World Symphony, San Antonio Symphony, Dayton Philharmonic among others, and by premier orchestras in Germany, Spain, the Czech Republic, Mexico, Venezuela, and Brazil. One of his latest compositions is a concerto of sorts for Latin ensemble and symphony orchestra commissioned by a consortium of major orchestras and festivals, and composed in collaboration with Grammy-nominated band Tiempo Libre. Featured in NPR’s “All Things Considered,” Rumba Sinfónica has been performed by Minnesota, Detroit, Dallas, and National Arts Center (Ottawa) orchestras, among many others. Venezuelan-born Ricardo Lorenz has served as Composer-in-Residence in several programs and presenting organizations, such as the Chicago Symphony Orchestra’s Armonía Musicians Residency Program (1998-2003), the Billings Symphony (1998-1999), and Music in the Loft chamber music series (1999-2000). Lorenz has also been the recipient of several other distinctions and awards from American Bandmasters Association, National Flute Association, Civitella Ranieri Foundation, Organization of American States (OAS), Concert Artists Guild, Meet-the-Composer, Barlow Endowment for Music Composition, the Newhouse Foundation, Illinois Community College Trustees Association, and ASCAP. Although Ricardo Lorenz has resided in the United States since 1982, he has always maintained close ties with Latin America. Between 1987 and 1992, Ricardo Lorenz held the position of Interim Director of the Indiana University Latin American Music Center. During this time he established a network of composers from the continent and compiled the sourcebook Scores and Recordings at Indiana University’s Latin American Music Center (Indiana University Press, 1995) nominated to receive the 1996 Best General Reference Source Award by the Association of Recorded Sound Collections. As a performer/arranger, he has worked with well-known Latin/o American musicians such as Tito Puente, David Sánchez, Claudia Pérez, Farred Haque, and with the bands Los Folkloristas, Tiempo Libre, and Sones de México. Between 2003 and 2005 Lorenz went back to Indiana University to serve as Visiting Director of the Latin American Popular Music Ensemble. Ricardo Lorenz holds a Ph.D. degree in composition from The University of Chicago and a Master of Music degree from Indiana University. He studied composition under Juan Orrego Salas, Shulamit Ran, and Donald Erb. He has taught at Indiana University, The University of Chicago, City Colleges of Chicago, and he is currently Associate Professor of Composition at Michigan State University. His compositions are published by Lauren Keiser Music and Boosey & Hawkes. They can also be heard on the following record labels: Arabesque Recordings, Albany Records, Indiana University LAMC Series, Doublemoon Records (Turkey), Urtex Digital Classics (Mexico), SOMM Recordings (UK), Cedille Records, and Navona Records. Ricardo Lorenz is a member of the American Society of Composers, Authors and Publishers (ASCAP), the College Music Society (CMS), and the National Association of Latino Arts and Culture (NALAC).